Unlike requirements of most traditional lenders, you may be able to arrange 100 percent financing of equipment with no down payment. This is key if cash flow is a concern to your business. Equipment financing is a source of funding that lets you hold onto your cash, or working capital, so it can be used for other areas of your business, such as expansion, improvements, marketing or R&D. Equipment financing can help mitigate the uncertainty of investing in a capital asset your business needs until it achieves a desired return, increases efficiency, saves costs or meets other business objectives. Equipment financing may hedge inflation risk because instead of paying the total cost of equipment up front or with a large down payment in todays dollars, the stream of payments delays your outlay of funds. In addition, either a lease or loan can lock in the rates that exist on the date of the closing. In other words, the finance company absorbs the devaluation of your payments over time due to inflation and other financial risks. Financing equipment helps maintain cash flow and greater certainty in budgeting by setting customized rent payments to match cash flow and even seasonal cash flows. Leasing, loans or other financing often enables you to acquire more and better equipment than you could have without financing. Certain leasing finance programs can also allow for technology upgrades and/or replacements within the term of the lease contract. Tax-oriented leases should produce lower rents since the lessor retains title and depreciation. A tax-oriented lease is a transaction that includes the value of tax benefits. Conversely a conditional sale or loan enhances tax benefits of higher deductions to the lessee/borrower. The equipment financier can be a valued consultant, providing benefits that range from setting residual rates through lifecycle asset management solutions. When a lessor owns the equipment in a true lease, the lessor bears the risk of the equipment used by a business from becoming obsolete. Many financing companies provide asset management services that can track the status of equipment, know when to upgrade or update it, and provide services relating to installation, use, maintenance, de-installation and disposal of the equipment. Certain financial products allow customers to finance the entire cost of equipment, including installation, up-front maintenance, training and software charges, thereby packaging systems and ancillary products and services into a single, easy-to-manage solution. Equipment management by a third party, such as an equipment financing company, should enhance the ability of a business to focus on its core operations. In the case of computers and other technology devices, these companies may also agree to dispose of equipment. 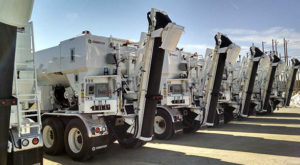 This service can prevent the lessee or borrower from incurring legal penalties for improperly disposing of such assets because disposal is often regulated by federal, state and local governments. 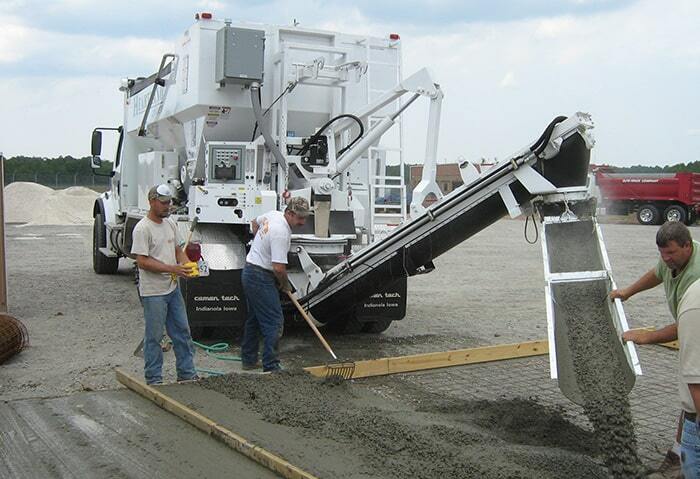 Contact a Concrete Specialist today to learn more about your financing options for mobile and stationary concrete mixers and cement silos.